Itching for a new darkly fun show like Big Little Lies? Missing Renata and Bonnie? You definitely aren’t alone! Now that the show is over, you may have an itching sense for a new drama series. Big Little Lies is definitely a show you can watch over and over, but eventually you’re going to want something new! If you’re ready for some new drama in your life, this list is exactly what you need! Here are 4 shows like Big Little Lies that will keep you entertained and fulfill your entertainment needs. In case you haven’t noticed, we are HUGE fans of Pretty Little Liars here. The name alone suggests just how similar this show is to Big Little Lies. The show is also about rich women who too just so happen to be involved in someone’s death. We can’t say too much more without giving away the plot! But, if drama and mystery are your thing, this is the show for you. The show is currently in its 7th season, which means weeks and weeks of awesome drama for you! Girls is another long-running HBO show. The show isn’t as dark as Big Little Lies, but if you want a show that is all about girl problems and drama, this is a good pick. The show follows a circle of friends who make their way through their professional and personal lives. We like this show because it’s super relatable. With Lena Dunham as the producer, you can expect plenty of laughter. Now we’re back to drama and mystery. The Leftovers is based off of a novel with the same name. The show’s final season began on April 16, 2017. The Leftovers takes you into a world where 140 million people randomly went missing at the same time. This period is full of drama, to include the rise of cults. The Leftovers follows several characters as they try to make sense of the Sudden Departure while continuing with daily life. Mildred Pierce first aired in 2011. The mini-series is definitely one to watch. Based on a 1940s novel, the show is about a mother during the Great Depression. Mildred is married but falls in love with another man. Crazy romance aside, she’s also struggling to earn respect from her narcissistic daughter. This show is full of family and romance drama, our favorite kinds! Plus, Kate Winslet is the star of the show. Of these four shows, I’d start with Pretty Little Liars. It’s coming to an end this year, so you’ll be able to binge the entire series over the summer! 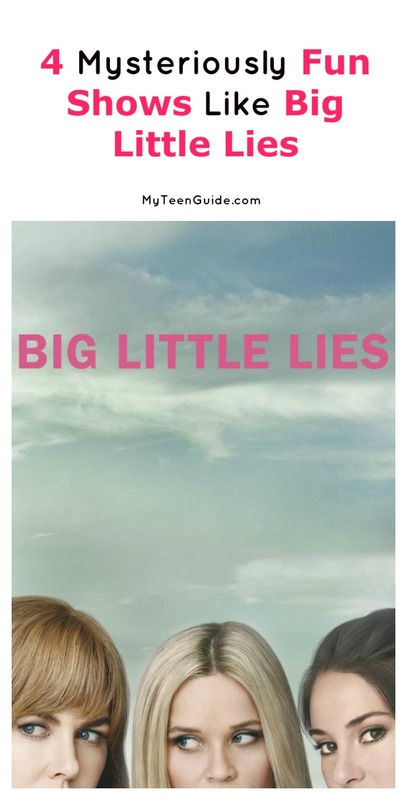 What other shows like Big Little Lies would you recommend? Share below!